Trigeneration is the process through which a part of the thermal energy produced by a biomass cogeneration installation is utilized to generate cooling for air conditioning or refrigeration. 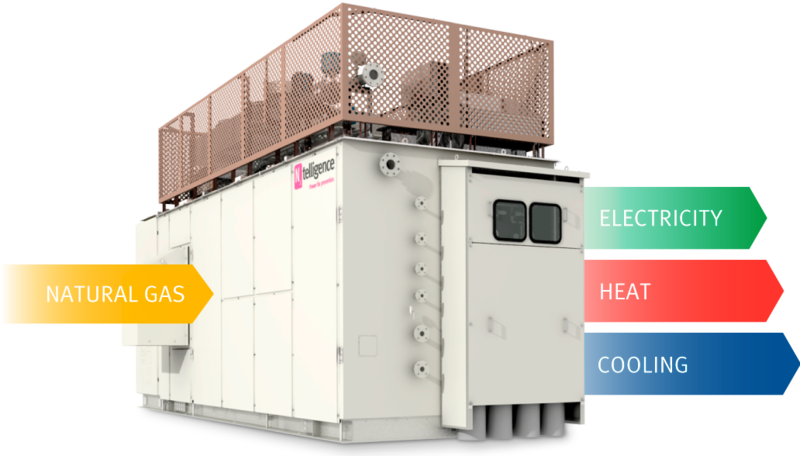 In other to supply this function, an absorption chiller is connected to the cogeneration system (CHP). the absence of noxious chemical pollutants since the water is used as a refrigeration agent.